Like anything else in a business, decisions are about where to invest your time and money. They are a proxy for what you think is important. It’s best to actively make informed decisions, then execute. Often, companies make decisions by not doing things. I call this “passive decision making.” Ultimately, it sends the message that this particular item is not important enough for their business to invest time and money into. Hopefully that decision is made explicitly after discussion and debate, but too often those decisions are made implicitly without any real conversation. Sometimes IT organizations aren’t willing to raise important issues to the forefront and other times, senior leaders avoid the decision. In either case, it is a missed opportunity for the business. 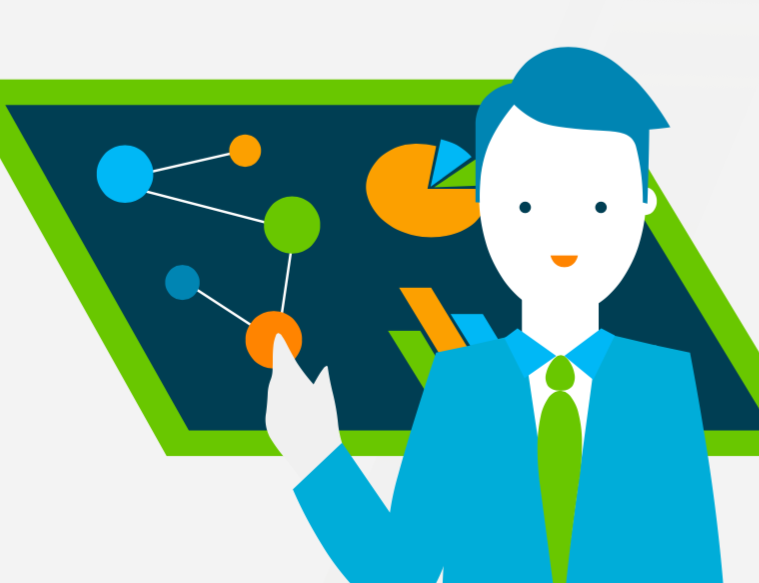 Real data makes it much easier to decide how to invest an organization’s time and money. When it comes to an IT decision such as core infrastructure, building a case with real data is critical. 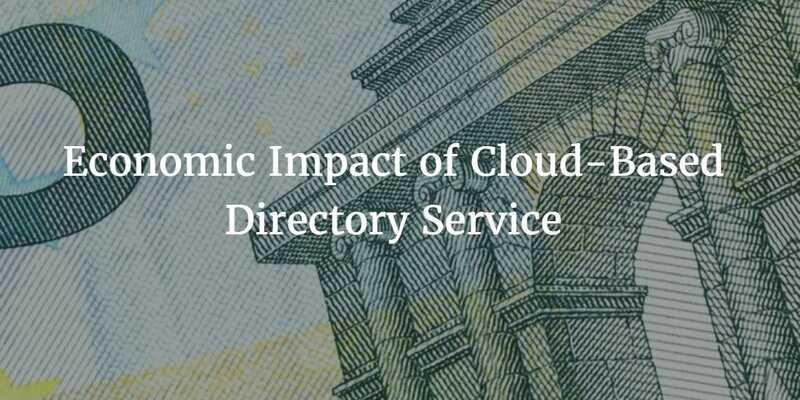 For the scenario of IT organizations purchasing a cloud-based directory service, JumpCloud has outlined below an overview of the economic impact that a cloud-based directory service can have on your organization. Note: if you are interested in more detailed analysis, drop us a note. We’d be happy to share our Directory-as-a-Service ROI calculator and associated documentation. Your end users spend significant amounts of time getting access to the tools that they need and keeping that access. End user accounts expire, passwords need to be reset, and new access needs to be granted. All of these things and more are friction points for your end users. Their goals are to get their tasks done and IT tools are a vehicle to help them. Unfortunately, until now there hasn’t been a True Single Sign-On™ solution where their credentials can get them access to just about everything that they need. Impact: a workforce that isn’t held up with user access, is one that is more productive. What do those end users that need access to systems wind up doing? Calling or emailing the IT department, of course! The interruptions for mundane tasks such as password resets or account activations is a distraction from IT accomplishing more strategic tasks. IT has historically been saddled with repetitive, low value tasks rather than being able to focus on enablement of the business. Impact: an authoritative virtual identity provider can centralize user management while off-loading work from IT. Historically, directory services solutions such as Microsoft Active Directory and OpenLDAP were hosted on-premises. That meant servers, software, data center space, network equipment, security, and on-going maintenance and management. That adds work and cost to IT. Impact: those costs can be dramatically reduced with a SaaS, cloud-based directory solution. Hosted and run in the cloud, IT is a consumer of the service rather than a provider. This shifts the economic infrastructure costs to the provider. Identity management platforms such as hosted a directory service are a core part of security infrastructure. A cloud-based identity management system manages user accounts to all different types of infrastructure. The goal of the Identity-as-a-Service platform isn’t only to connect the right users with the right IT resources, but also to protect the credentials that those users leverage to gain access. Impact: modern implementations of directory services are extremely helpful at controlling user access to critical resources such as cloud servers, network infrastructure, critical LDAP-based applications, and even a user’s Windows, Mac, or Linux device. A breach has significant negative economic impacts and a Directory-as-a-Service® platform can help reduce the risk of a security breach. The items above are all areas where an organization can generate a positive return on their investment in a cloud directory. But in order to gain that return, some time and money needs to be spent. Those are the areas of cost. A SaaS-based platform like Directory-as-a-Service is licensed under a subscription model based on the number of users. The pricing will vary based on the payment type (annual or monthly) and the number of users. Costs such as infrastructure, backup, management, and other operational costs are all included in the subscription licensing. As with other cloud technology, the benefits of an outsourced cloud directory are immense. Cost: annual or monthly subscription. Any solution that is purchased requires some human involvement. That involvement costs the organization some time and money. The level of involvement depends upon the solution. Legacy directory solutions such as AD and OpenLDAP required a greater amount of IT involvement than modern cloud directory services. Directory-as-a-Service automates a number of operational tasks as well as shifts management tasks to end users so that they can be self-sufficient thereby reducing the level of effort from IT. Cost: involvement from internal IT staff. Once you have compiled those various benefits and costs, you will have a better picture of the overall return on investment. For most organizations, a cloud-based directory service is a high return on investment item. It centralizes user management, streamlines productivity for both IT and end users, and dramatically increases security. The key for IT is to be able to quantify those benefits. If you would like some help in doing that, drop us a note and we’d be happy to help.